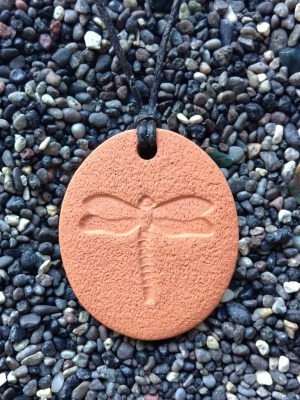 The Dragonfly reminds us to live life to the fullest, making every moment count. Just as the dragonfly’s beautiful colors take time to develop, it calls us to be aware and grateful for the beauty in us (our true colors) that comes forth in maturity. It symbolizes wisdom, imagination, prosperity and harmony. Representing change, renewal, and transformation, the Dragonfly reminds us of the power of being here; we are light and joy! I love dragonflies. This pendant is so cool.